Competition: Dezeen has teamed up with London's Royal College of Art to offer five readers the chance to win a pair of tickets to the private view of the school's 2016 graduate exhibition on 23 June 2016. Congratulations to the winners! Stephanie Crossman, Roberto Sideris, Iwona Bednarska, Michael Loates-Taylor and Sadhna Jain. 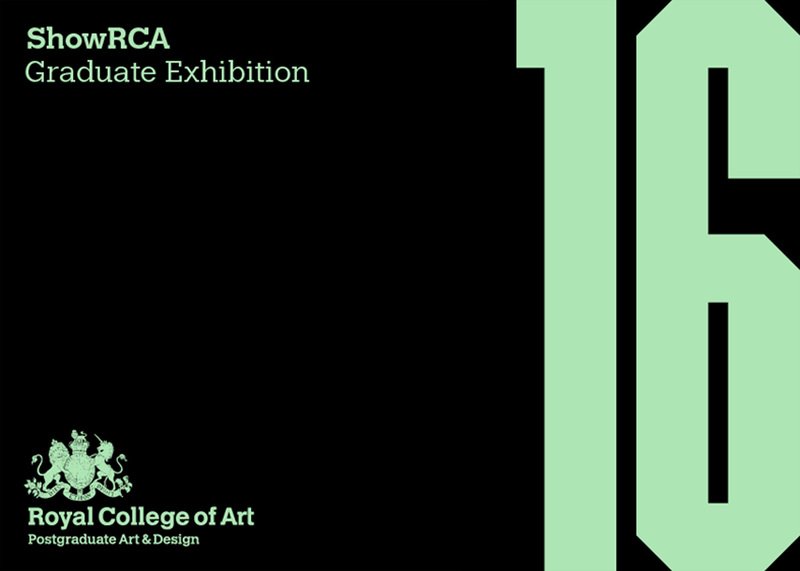 SHOW RCA 2016 will take place simultaneously across the Royal College of Art's two campuses in Battersea and Kensington from 26 June to 4 July 2016. As media partner for the event, Dezeen is offering readers a chance to see an exclusive preview of the Kensington show, which will feature work from the architecture, design and communication schools, before it opens to the public. The architecture school will present a wide range of architectural proposals, including experiments with human interaction, communication technologies, intergenerational living, energy use and agricultural production. The school of design promises to demonstrate how design, technology and engineering can be used to address real-world problems, while the communication department will present a range of work from its animation, information experience design and visual communication programmes. We have five pairs of tickets to give away to the private view, which will be held on 23 June 2016 from 6pm to 9pm at the RCA's Kensington Gore campus, London SW7 2EU. This competition is now closed. Five winners will be selected at random and notified by email, and their name will be published at the top of this page. Dezeen competitions are international and entries are accepted from readers in any country, but winners will need to be able to attend the private view in London on 23 June 2016.